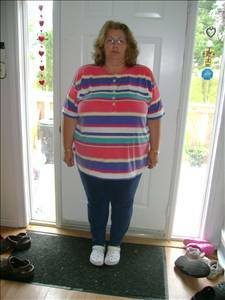 I first started with Weight Watchers program on June 11th and in the first month lost 5 pounds. I ate to the max of my points and although pleased with the loss, I wanted more. I started the Matol diet on July 11,2007 after friends had such great success. I weighed in at 297.5, and in the first 9 weeks have lost 34 pounds with an average of 4 pounds per week. I have struggled most of my life to lose 20-50 pounds and each time the number keeps going up. I have never reached my goal and this time I look forward to saying "I made it."